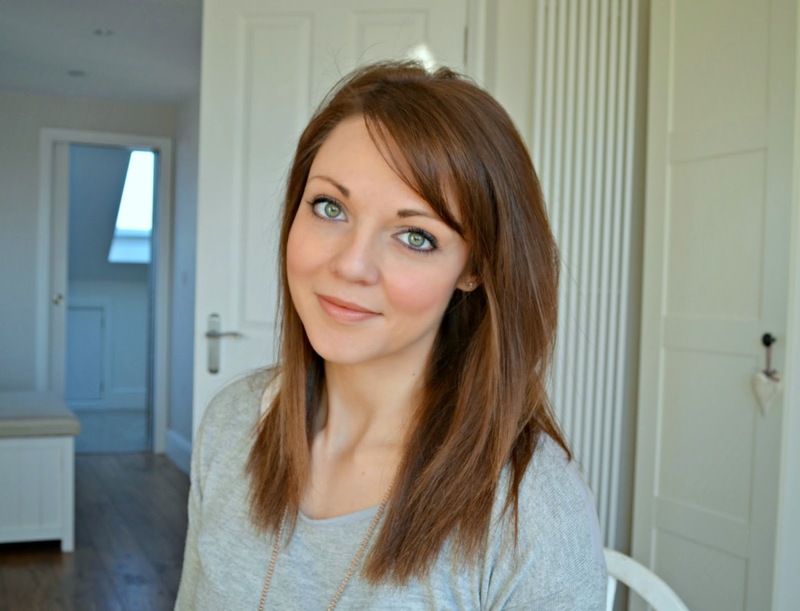 The office Christmas party is one event that us girls do like to get glammed up for. It is our chance to ditch our conservative pieces and show off what your wardrobe is really made of. The same applies to Christmas party beauty, this is where we can rock looks that may raise a few eyebrows on a Tuesday morning but are perfectly acceptable sipping bubbly at your party venue. I had a 'trial run' Christmas party last night, gate crashing my former employers, but allowed me to have a sneaky peak at what the girls had gone for. Getting ready with the super glam Victoria I was super jealous of her party nails. 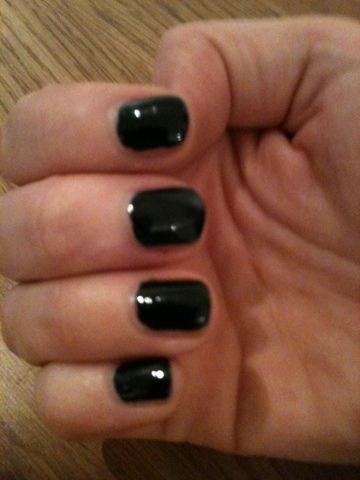 A base layer of Nails Inc's Motcolm Street (£11) - the darkest navy shade gave a super sleek look. 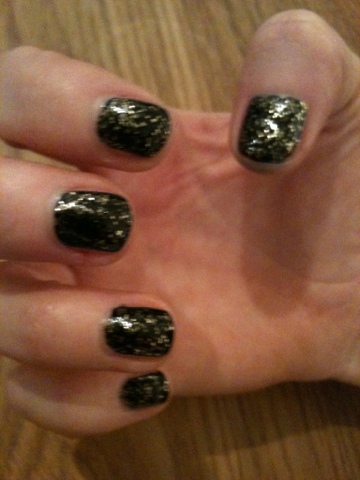 To add a touch Christmas sparkle she then topped with Barry M's Gold Mine (£3) - I love! 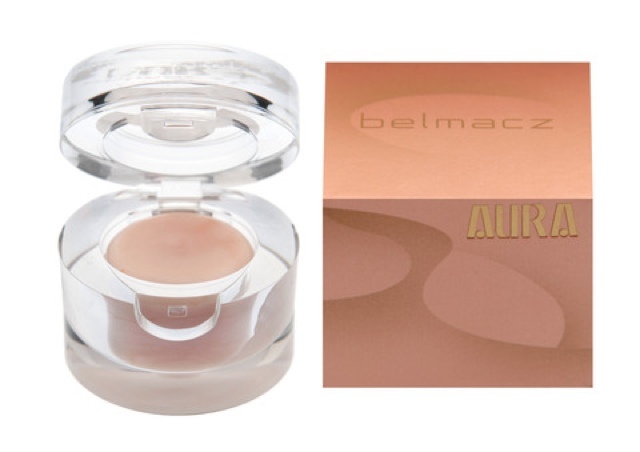 Another item I will be using for my Christmas party is Belmacz's new Aura beauty balm (£31), which is infused with real 24 carat gold leaf and peal powder to give your lips, cheeks or eyes a pinkish-gold glow. Think Charlize Theron in the Dior advert! I will be smothering over my cheek bones next week! We officially have one week to go until the big day! 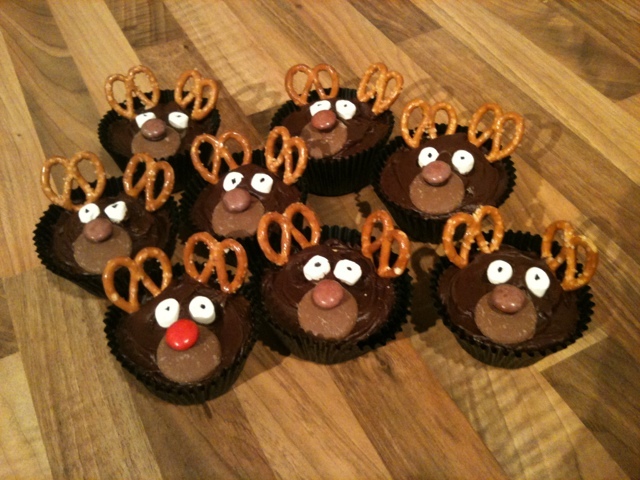 Mr blogmebeautiful enforced a stricked 'no getting Christmassy until December' rule on me (which I obviously flaunted) however with a mere 7 days to countdown no one can prevent me wearing my Christmas jumper and making reindeer cupcakes now. 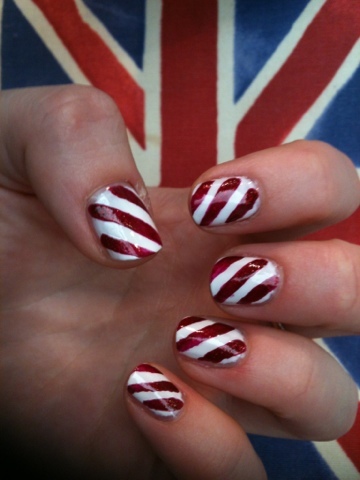 My buddy Maddie started the chrimbo season early sporting candy cane style nail art into work last week - I had massive envy, I'm not sure my hands are steady enough! My lovely friend Victoria bought me a little treat a few weeks ago of this gorgeous petrol blue nail polish from Barry M and I eventually got round to tying it, so thought I'd share it with you. This is the first of Barry M's Gelly Hi Shine nail paint's I've tried, designed to give the mirror shine finish associated with gel nails. 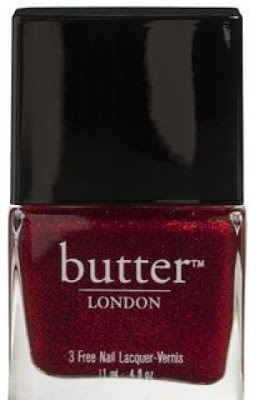 The varnish does produce very shiny nails, however, to creat this effect, it is much thicker than Barry M's normal polishes and therefore takes longer to dry. 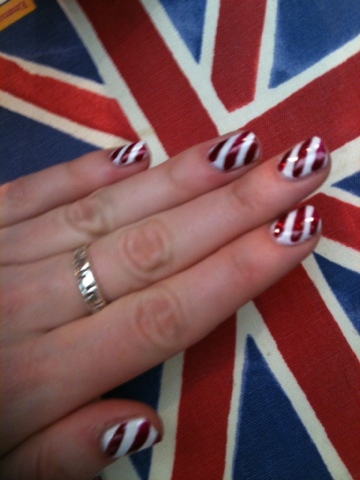 Being impatient with drying time I did manage to smudge my freshly painted talons and had to re-paint! I do really love the shade, I'm very into blue and purple nail colours at the moment, which give a really luxe addition to your look. It remind me of my Shellac Midnight Swim but without the shimmer effect, which is a little more subtle and perfect if your letting your outfit do the sparkle for you! 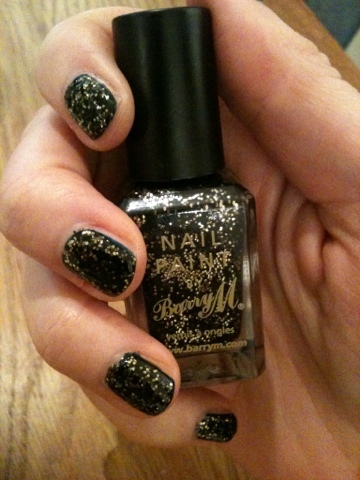 Barry M Gelly Hi Shine is £3.99/10ml. My skin care fidelity isn't what it should be and I find myself flirting between brands and products every time I need one of my lotions and potions runs out. 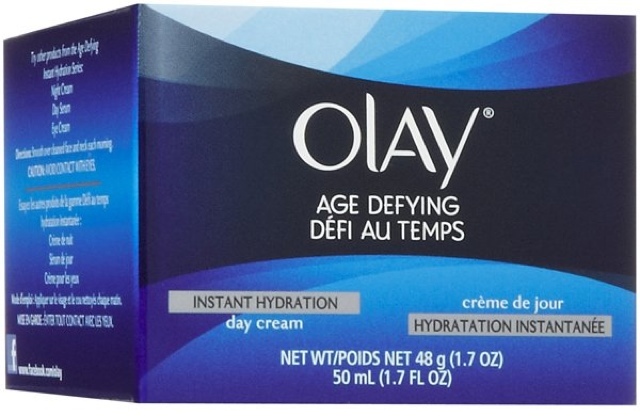 My latest purchase has been Olay's Anti Wrinkle Instant Hydration Day Cream, a product that promises to infuse your skin with hydration and help lock moisture in. The cream is really light and sinks quickly into the skin without leaving any greasy residue which many hydrating creams leave behind. My skin has felt really smooth and I haven't been suffering from any dry patches which I often get at this time of year. I do also really like the fragrance; the cream is infused with ocean extracts and smells really fresh.